Brian Moyer is a program assistant with Penn State Extension at the Lehigh County office where he assists farmers and markets with marketing and regulations and food system value chains. Brian is a past board member of PASA (Pennsylvania Association for Sustainable Agriculture) and currently is a board member of The Seed Farm. 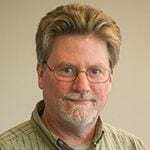 Brian serves on the Lehigh Valley Food Policy Council and was the founder and manager of the Skippack Farmers Market from 1999 to 2009 and is the founder/coordinator for PA Farm Markets, LLC. Brian and his wife Holley own and run Green Haven Farm and raise grass-fed livestock on their 27 acre farm just outside of Fleetwood in Berks County. For 20 years they’ve sold chicken, eggs, lamb, pork, and goat to restaurants, CSA’s, farmer’s markets, and at their farm. In addition to serving as a National Program Coordinator for this project, Brian also will be serving in a mentor capacity. 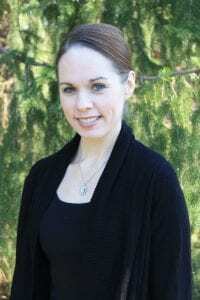 Sarah Rocker is a research associate with the Northeast Regional Center for Rural Development. Her interests lie at the intersection of food systems, agricultural change, and development. She holds a PhD in Rural Sociology, from Penn State University. Her dissertation research focused on regional food value chain coordination as a strategy to connect food and agricultural stakeholders and strengthen local and regional food economies. 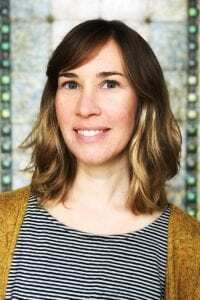 She holds a master’s degree in Public Administration with a focus on food policy from the Evergreen State College and a Master of Arts from the University of Colorado. Sarah has a diverse background of applied work in food production, farmers market development, cooperative restaurant/retail management, and food policy and public planning. She is is a former co-founding board member of the Cooperative Food Empowerment Directive, a national non-profit committed to empowering students to create cooperatively run food businesses on college campuses. Sarah is a National Program Coordinator for the AMSTA project and provides mentor consulting on evaluation, value chain coordination, food systems governance, and stakeholder engagement. 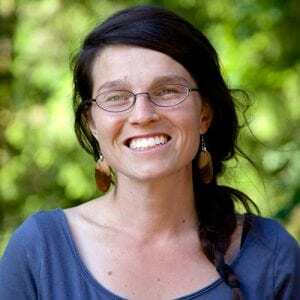 Since 2008, Addie Candib has engaged in Washington State’s sustainable agriculture and local food systems as an eater, advocate, organizer, farmer, board member, and nonprofit professional. Addie was a co-founder of the Washington Young Farmers Coalition. She served on the board of the West Olympia Farmers Market from 2012 to 2015, and on the board of Tilth Alliance (formerly Tilth Producers of Washington) from 2012 to 2017. Addie is an experienced event planner, fundraiser, and grant writer, and, since 2010, has applied those skills in working for both a farmland trust and a farm internship/incubator program. Addie holds a Master of Public Administration from The Evergreen State College. Dorothy Ann Cross works as the urban agriculture coordinator for Penn State Extension Philadelphia and the Pennsylvania Women’s Agricultural Network (PA-WAgN). Her primary efforts support and promote the on-the-ground work of urban growers in Philadelphia through mentorship, leadership development, and the development of educational programs and resources with the urban agriculture community. She is also part of an initiative with PA-WAgN to build a collaborative of diverse urban and rural women growers and food advocates to improve mutual sustainability, justice, and access to healthy local food across Pennsylvania communities. Dorothy currently manages the Rittenhouse Farmers market, the largest farmers market in Philadelphia, and has nearly a decade of experience working with rural and urban growers to expand and increase the sustainability of their distribution operations in urban areas. Sarah Fritschner works as a value chain coordinator in the Louisville, Kentucky area, working to create markets for farmers who are looking for alternatives to growing tobacco. For 9 years she was the coordinator of Louisville Farm to Table, a Metro Louisville value chain coordination position established with the help of Kentucky’s tobacco settlement dollars to increase Kentucky farmers’ percentage of Louisville’s $3 billion food market. As a value chain coordinator, Fritschner has worked with public and private schools, universities, entertainment venues, retailers, restaurants, processors and others to increase the amount of Kentucky food they serve, while working with farmers to increase their sales, and working to improve the infrastructure –distribution, processing etc –that can move food from farm to destination. Before becoming a value chain coordinator, she was a food journalist for 30 years and the author of several cookbooks. Ann Karlen has 20 years of experience in promoting local food systems. She launched and ran Fair Food from 2000-2017, a non-profit organization in Philadelphia that developed new wholesale markets for farmers and operated the Fair Food Farmstand in Reading Terminal Market. Since 2014, she has held the position of Faculty Director for the Food Hub Management certificate program at the University of Vermont. In 2018, Ann launched Third Wheel Cheese Company, specializing in farmstead and artisan cheeses produced by farms in Pennsylvania and New Jersey. Rebecca Sero is the Evaluation Specialist for Washington State University Extension. Within her statewide position, Sero provides leadership for increasing WSU Extension’s capacity to assess the effectiveness and efficiency of its educational programs. She maintains an active, ongoing engagement with faculty, staff, and administrators to lead and support program evaluation activities. She collaborates with faculty, staff, and administrators within all three of Washington State’s Extension units: Agriculture and Natural Resources, Community and Economic Development, and Youth and Family. Sero works closely with teams to conduct periodic, focused evaluations of major WSU Extension programs. In her role, Sero develops and disseminates evaluation best practices and tools for use by Extension educators and faculty. She is also responsible for cultivating professional development opportunities in program evaluation and other areas as needed for Extension educators and faculty. Sero has been engaged as the subject matter expert on wide variety of Extension projects. She uses a multi-method approach to design instruments used for evaluation assessments, collects data using multiple formats, conducts analyses on evaluation data, and creates detailed reports and dashboards summarizing the results. Darlene Wolnik is a national advocate and trainer for farmers markets and has worked in the field for over fifteen years. Her background contains both extensive community organizing initiatives and innovative small business projects. Her work with farmers markets began when she managed markets for New Orleans-based Market Umbrella as its Deputy Director. 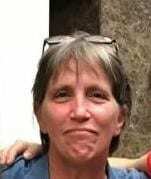 During that decade, she also designed and ran the organization’s marketshare project, one of the first technical assistance and resource sites for markets in the US, where she created over 70 free resources and tools and included the first market-designed evaluation system, trans•act. Since June of 2011, Darlene has consulted for dozens of market projects with design and strategy, resource development, data collection and analysis support. She authored the 2013 Vermont Market Currency Feasibility Report and the 2014 Local Food Awareness Report for Gulfport MS, both found on her www.helpingpublicmarketsgrow.com website. Since 2015, she has served as Farmers Market Coalition’s Senior Researcher, offering support across FMC’s programs while focusing on the development of Farmers Market Metrics and the Farmers Market Legal Toolkit.